The importance of properly functioning smoke alarms cannot be stated enough. Many house fires happen during the night when we are sleeping, and smoke alarms can save your life. Smoke alarm inspections and installations are a vital service that all home and business owners need to procure. To receive the full, lifesaving benefits of a smoke alarm, they need to be installed correctly, functioning correctly and maintained regularly. Our smoke alarm installation Brisbane service provides all of this and more. Our master certified electricians offer smoke alarm inspection, installation and testing to ensure that your home or office has the earliest possible warning in the event of a fire. All smoke alarm installations in Brisbane must be photoelectric and be either hardwired to your home’s main power supply or be powered by a 10-year, non-removable lithium battery. Smoke alarm installers are required to interconnect every alarm in the home so that when one goes off, they all do. This provides the safest and most reliable way to alert the occupants of the fire as soon as possible. Smoke alarm installers can either achieve the interconnection through a wired or a wireless connection. New legislation is making smoke alarm installation not only mandatory but also reliable. Gone are the days of taking the batteries out of the smoke alarm to put into the remote when those go dead. When it comes to your safety and the safety of your loved ones, you can never be too cautious or prepared. 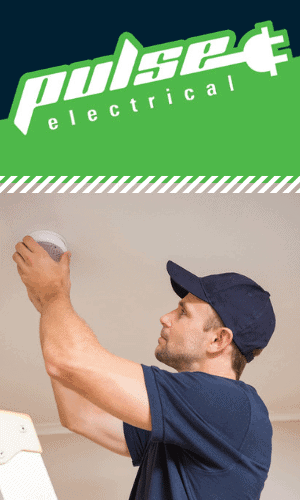 Professional smoke alarm installation Brisbane is your best defence against the dangers of smoke and fire. Professional installation will ensure that your smoke alarms are correctly installed and in good working order. It is also vital that your smoke alarms be inspected periodically to make sure that they are functioning at their full capacity. We can even test and tag your electrical appliances at the same time to ensure they are safe. Professional smoke alarms inspection is more than just changing out the battery, and it involves actual testing of the alarm in smoke situations. With early detection of smoke and fire inside a home, the number of injuries and deaths from smoke inhalation is greatly diminished. A certified smoke alarm installer can install and maintain these life-saving devices in your home to make sure that in the event of smoke, you are alerted as soon as possible so that you can get out. Maintenance for your smoke alarms can be scheduled out at regular intervals so that you don’t have to think about. We give you peace of mind that your home and family is protected from the dangers of smoke inhalation by ensuring that your alarms are functioning properly.